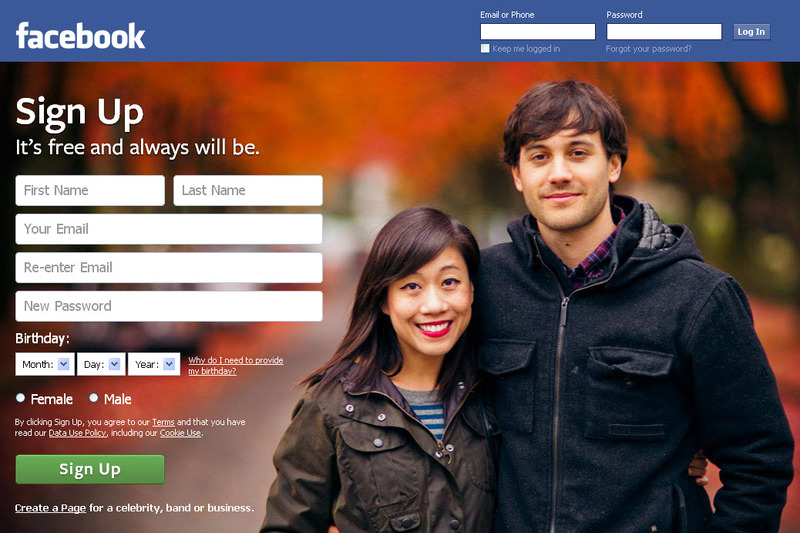 Facebook is testing a new login screen featuring a man and woman in friendly embrace on what looks to be a fall day. Facebook login testing has recently ramped up in the last few months and this variant is commonly known as the "dating site" creative. Key differences to note are the use of people as the background image and justifying the sign up form to the left instead of the traditional right hand justification of the call to action. I find it strange that the image evokes a sense of the fall, with autumn colors in the background, since it's currently late-January. Update: Thanks to Jesse, (digital product designer) for pointing out that this is the work of Mike Matas, a valley design god who was aquirehired by Facebook when they bought his company, PushPopPress (still one the best digital tablet books out there). That's Mike Matas - a valley design god who was aquirehired by facebook when they bought his company, PushPopPress (still one the best digital tablet books out there). Frankly, the login splash looks like a dating site. It's been live for several months.